My lifestyle photography is about depicting a sense of timelessness, keeping cherished memories alive. My style reflects a sense of fun, capturing fleeting moments in time and beautiful interactions between people and their surroundings. The wonder of childhood can be reflected in my images; imaginary play worlds of knights and castles, fairy princesses and magical moments such as chasing bubbles in the park can be created. Also those special times in your life such as birthdays, anniversaries, proms and graduations and great achievements can be captured. Catching these brief moments forever for you to keep, to look back on and laugh when you remember the joy you shared at that moment in time. Children grow up so quickly – let me tell a part of their life story now, don’t let those moments pass without photographs to remember. On the day of the lifestyle session, allow a couple hours for everyone to relax and be comfortable with the camera. Following the initial phone conversation and booking we will have discussed choices of clothing, location and what we wish to achieve on the day. 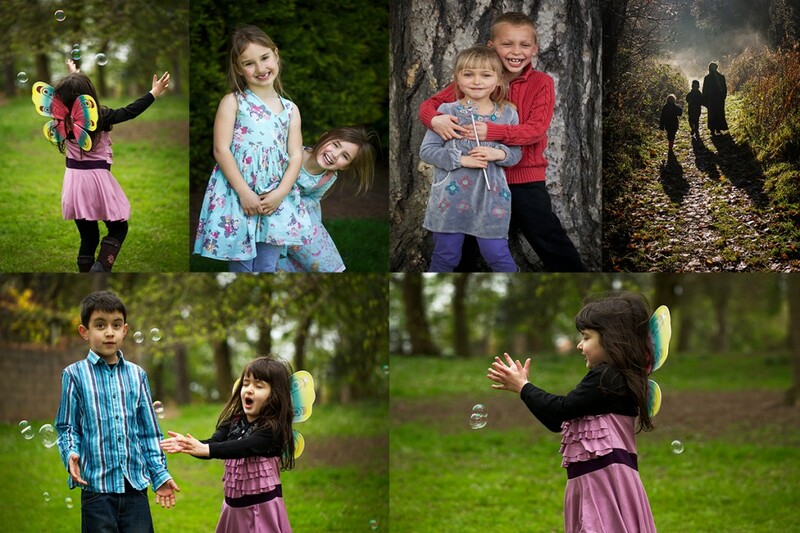 The first part of the day would be time to get to know you over a cup of coffee or tea, then to go to the location to have fun, relax and for me to create images that will make you laugh, may even cry with joy (For sessions with children, I always have a bottle of bubbles to distract them from the camera and start having fun). When working this way I can show their true natures and unique characters. My two young boys have inspired my approach here, so I can share in the fun, imagination and boundless energy of the day. The lifestyle session fee is £150, which includes £50 credit towards a beautiful album or a selection of wall art. I have a large selection of high quality frames and products that will display your images beautifully. The size, type and finish of the frame/finished product are all important aspects to consider with a piece of history that will live with you forever. After the lifestyle session we can make an appointment for you to view and choose from a slideshow, and select from a beautiful range of albums, frames, products. Usually, clients spend from £500, there is no minimum spend since this is a bespoke photographic service.